BIRMINGHAM, AL (WBRC) - Class 1A powerhouse Maplesville proved it can compete with anyone, going on the road and beating Class 3A Fultondale 35-17. Red Devils running back Ryan Morrow scored three touchdowns in the victory. Game officials called the game following a lengthy weather delay with 1:21 remaining in the third quarter. Maplesville remains undefeated after beating another higher classed team. 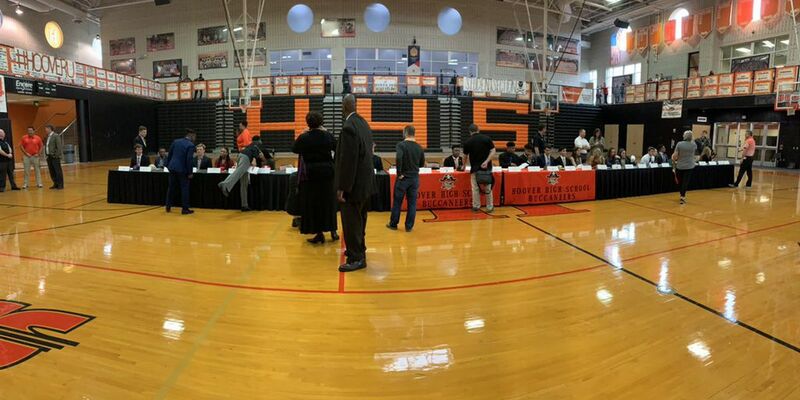 Hoover High School held it’s National Signing Day ceremony Wednesday afternoon in the gym.